To see a duck in a dream refers to fight, conflict or contradiction. To see a baby duck in your dream refers to a discussion which you will have with your close friend. To see that you touch on a baby duck in your dream means reconciliation as a result of discussion. To see a baby duck trying to fly and baby ducks scuttle away in your dream indicates that you will part company with your friend as a result of discussion. To hunt a duck in your dream symbolizes that you will start to live in another place because you have a discussion with your family. To see that you catch a duck after you pursue it in your dream indicates that your partnership will disappear. If you don’t catch the duck in your dream, a contradiction will be overcome thanks to a mediator. To dream that a duck bites you suggests that you will have a discussion with your spouse because of a rumor. To see of speaking with a duck in your dream refers to separation among sisters/brothers. To see that a duck lays eggs in your dream indicates that you will miss your old job or environment but you won’t turn back. To see an egg of the duck in your dream signifies that you will have discussion with your friend again because of the same reasons. The size of duck’s egg means the size of discussion. To see that the duck’s egg is broken in your dream indicates that your friend will part company with you without saying the reason. To feed a duck or fodder in your dream suggests that you will regret and make a mistake then you will apologise. To see of eating duck meat in your dream indicates that you will exaggerate the insignificant issue and break your friends’ hearts. The size of the wings of the duck refers to distance. If its wings are big, you will remain separate from your friends for a long time. To dream that you pluck the wings of the duck means that you will be at odds with your relative because of your fault but you won’t regret. To see a black duck in your dream refers to a fight which you will have in the streets or environment which you don’t know. 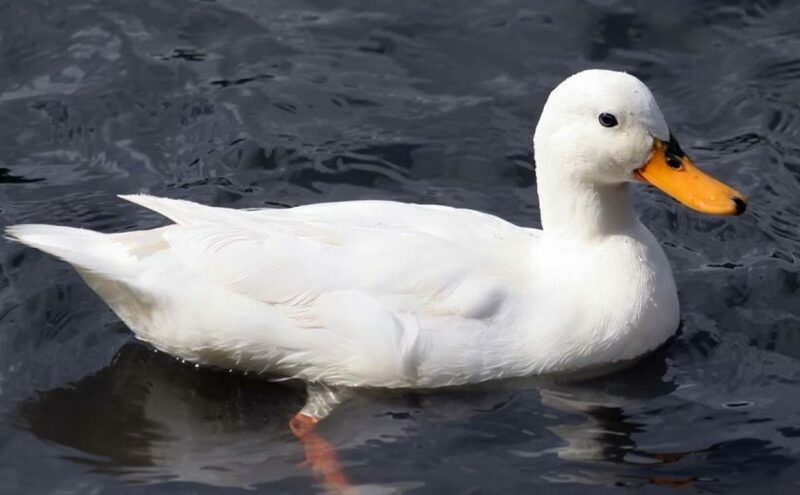 If you see a white duck in your dream, it refers to quarrels. A colorful duck signifies discussions which you will make at school or job. To see that a duck runs after you in your dream refers to people who are disagree with you. The amount of ducks running after you refers to the amount of people who are disagree with you.